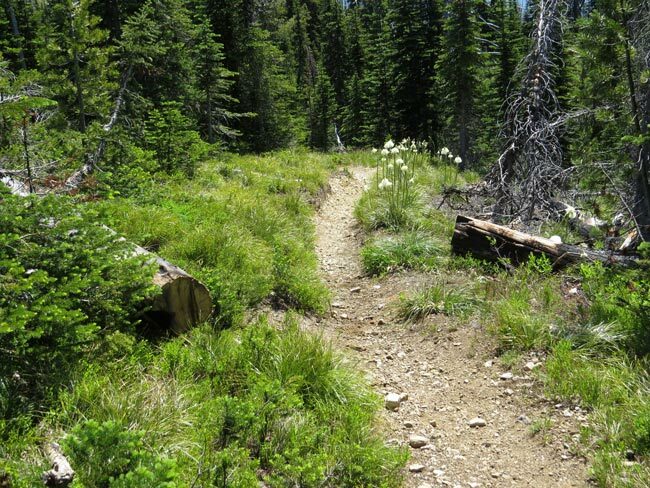 The Swan Rangers have a volunteer agreement with the Forest Service to help maintain trails in the Swan Range. Their use of hand tools only is in keeping with the wilderness ethic they hold dear. Occasionally the work is done in conjuction with a Saturday outing of the Swan Rangers hiking club and sometimes during separate work outings. You can read about and view photos of some of their work below - and you can click here to volunteer. Since September 2011 Swan Rangers in Service have provided 992 hours of volunteer labor! Krause Basin Nature Trail Refurbished! 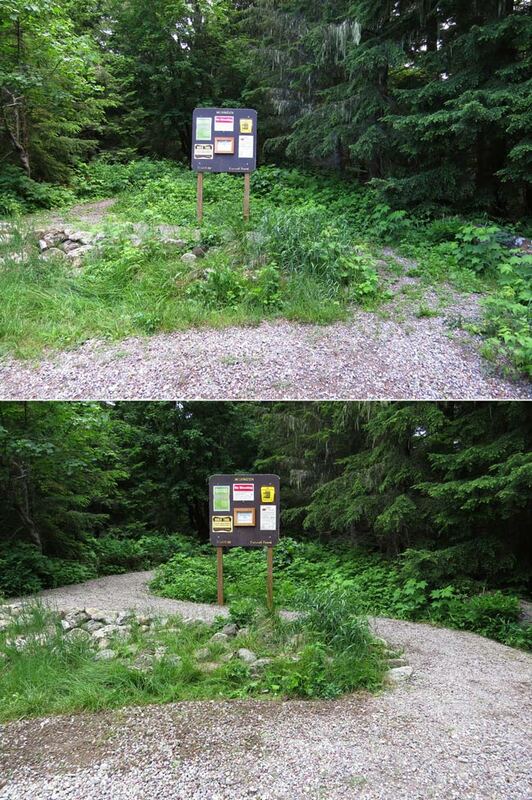 Twenty hours were spent refurbishing the Krause Basin Interpretive Trail in June 2017; repairing vandalism to the signboard, pulling weeds from the trail tread, and trimming overgrowth to return it to its original width! Click here for information about the trail and a free trail guide brochure. Upper Hemler Creek Trail Cleared 140830! 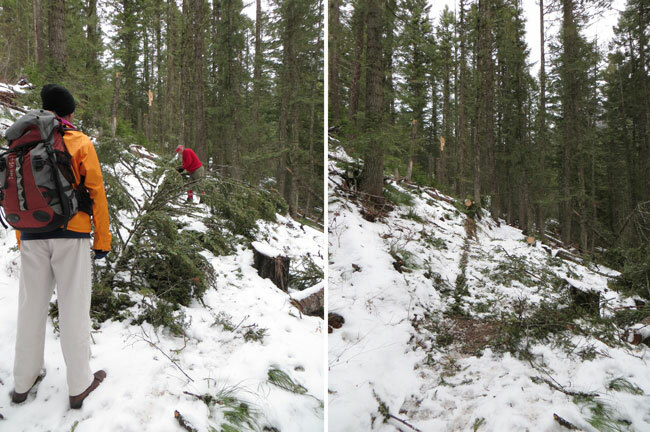 The Swan Rangers cleared several downed logs from the meadows along upper Hemler Creek Trail, just below Alpine Trail #7! 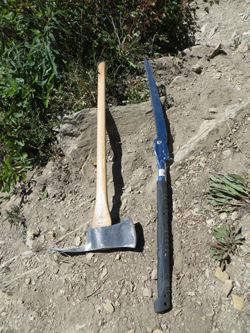 The Swan Rangers cleared several deadfall from the Sixmile Lookout Trail above Alpine Trail #7 on Saturday, July 12, 2014! Motorcycles were starting a nasty detour around the deadfall pictured below, which the Rangers removed with hand saw and a nearby dead wood lever. 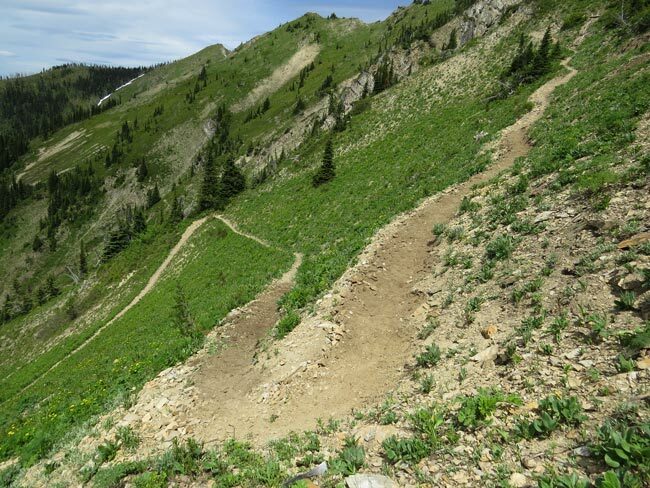 The Forest Service had already cleared the trail up to Alpine #7, so it is now in good condition all the way to Sixmile Peak! 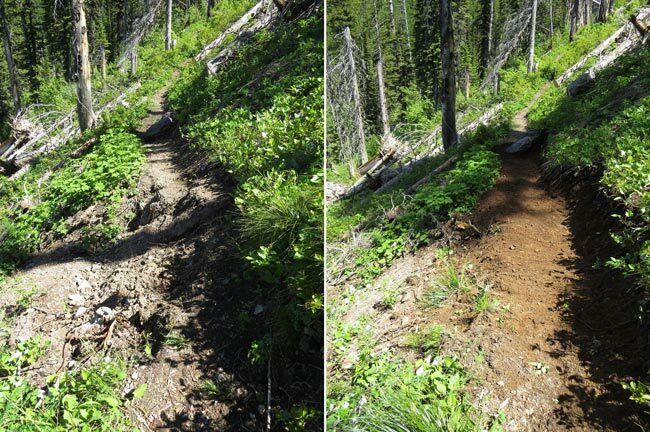 The Swan Rangers made numerous repairs to the Peters Ridge Trail on July 5, 2014, including cleaning of water bars, a bit of brushing, and plenty of re-tread digging higher up! 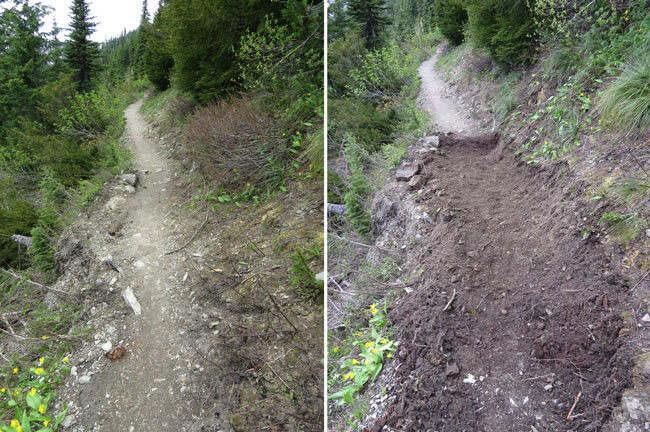 Click "Read full article" below to see a few more trail repair photos. Tread Repaired in Switchback Trail 6/22/14! 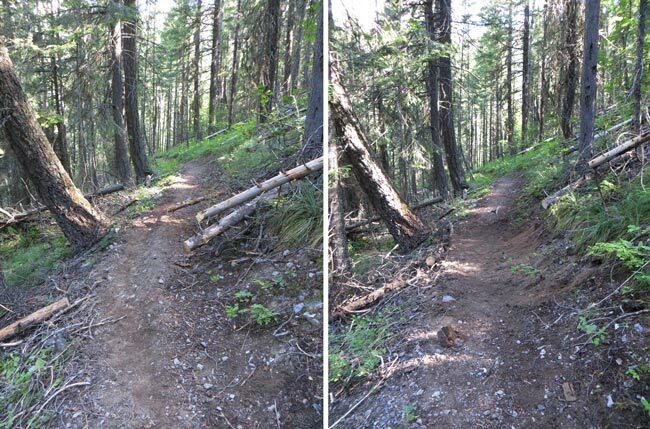 Swan Rangers repaired two slumps in the Switchback Trail, cleared brush, and removed two deadfall logs - with many thanks to the guy with the chainsaw that recently cleared the rest of the dozens of deadfall! Click "Read Full Article," below, to see more photos of how the two slumps were repaired! Swan Rangers repaired two major slumps in the Strawberry Lake Trail tread while a Forest Service chainsaw crew cleared large deadfall. 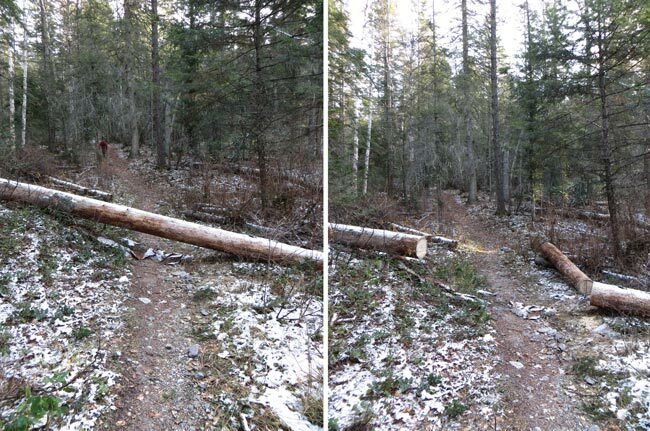 Repairs were made to the Peterson Creek Trail, trimming back several deadfall that were crowding the trail off the mountainside and reestablishing the tread. 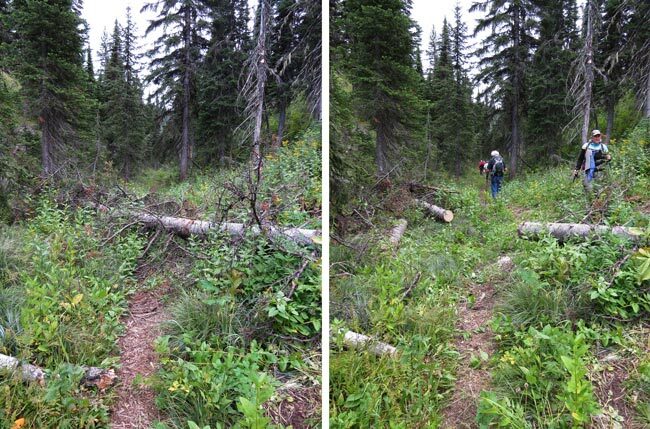 All but one (too-large for hand saw) deadfall were cleared from the Strawberry Lake Trail. 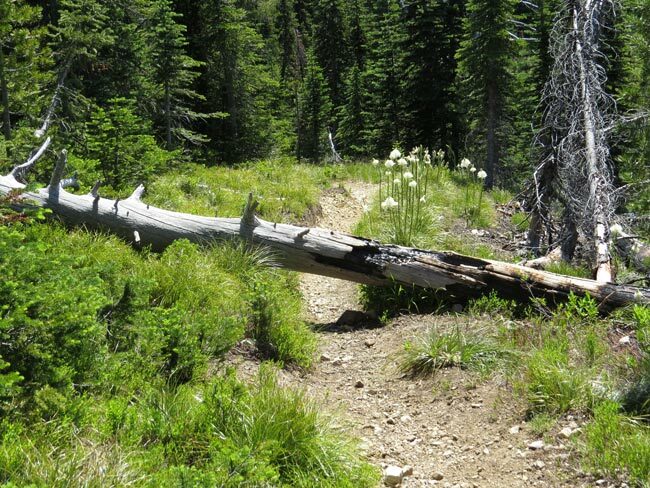 Almost all deadfall was cleared from the Echo-Broken Leg Trail as far as Wolf Creek.